Water resistant paper is essentially layered or laminated paper, which makes it tolerant to water and tear resistant. The inner film allows the durability of synthetic paper with the look and feel of standard paper. 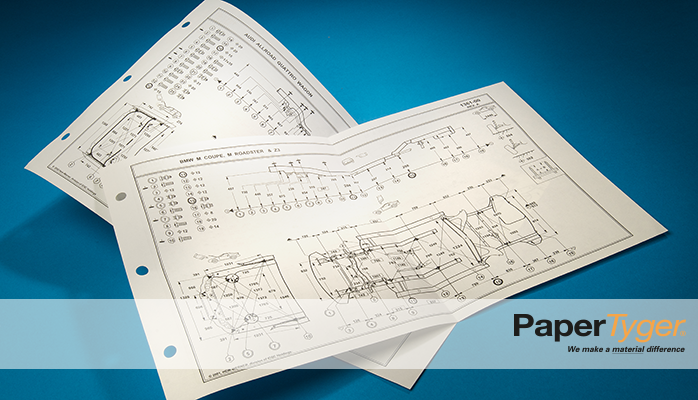 Because of its unique construction of paper/film/paper, this paper will run on almost any laser or inkjet printer. PaperTyger products are designed for long interior and short-term exterior application from uncoated papers with wet strength for protection against moisture. In addition, the inner layer of film offers comparable moisture barrier to synthetic papers. 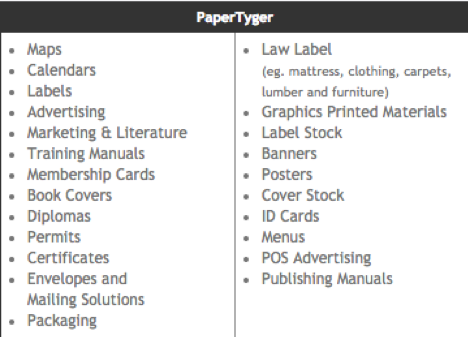 All standard PaperTyger products now come with the option of a weather resistant coating. This is designed to print well with UV IJ inks, but has performed well with other weather resistant inks. This makes PaperTyger products weather resistant for a longer period of time. When used with appropriate outdoor inks, PaperTyger products will withstand sun, wind, rain, humidity, snow and dramatic shifts in temperature. For PaperTyger product details, refer to PaperTyger’s Products page.